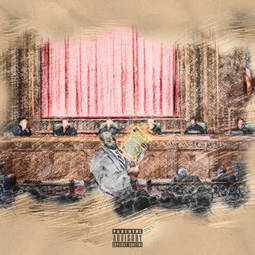 Publik Housing recording artist King Ramseys (twitter: @king_ramseys IG: @iramseys_king) has released His newest musical effort "Freedom Papers" for free on a variety of platforms, including Bandcamp: https://kingramseys.bandcamp.com/album/freedom-papers and Audio Mack: https://www.audiomack.com/album/publik-housing/freedom-papers. The 16 track mixtape is his second project in the genre, and features production from Mr. Incredible Beatz (twitter: @MrIncredibleB IG: @mrincrediblebeats), Publik Housing producer and recording artist Devyn Michael (twitter: @Hogarth_Is_Here IG: @just_mcgillicuddy_mane), and Publik Housing founder and producer Key Minor (twitter: @_keyminor IG: @keyminor). The Project is a reflection of both the trying times black youths live through in America, tinted by the unfiltered lens of King Ramseys; while his opinions on topics ranging from police brutality to the roll of government, to modern hip-hop are on full display. A Music video promoting the lead single from the project "Go" (produced by Mr. Incredible Beatz) was shot by the good gentlemen of GoodEye Media (twitter: @GoodEye1080) and released to the Publik Housing YouTube channel on July 1, 2017.